That was the headline of a story in today’s edition of ‘The Independent’ by Donald MacIntyre where he also said that “Khader Adnan’s two-month hunger strike has made him a hero among Palestinians outraged by Israel’s policy of arbitrary detention. Below is the text of the story by MacIntyre and here on YouTube is a short film about Khader Adnan. It was only after talking with lucidity and animation for an hour about her husband’s 61-day hunger strike that Randa Jihad Adnan’s eyes, visible though the opening of her nekab, filled with tears. Until then, this articulate 31-year-old graduate in sharia law from Al Najar University in Nablus, the pregnant mother of two young daughters aged four and one and half, had described with almost disconcerting poise the two months following the arrest of her husband, Khader Adnan, on 17 December. He was seized at 3.30am by some of the scores of Israeli military and security personnel who surrounded the family home in a West Bank village south of Jenin, and is now being held in the Israeli Rebecca Ziv hospital in Safed. On Wednesday she was allowed to visit him with the children and her father-in-law. Mrs Adnan is convinced that the Israeli authorities only allowed the visit because they wanted the family to put pressure on her husband to end his hunger strike. He had started this on 18 December in protest at his arrest, his treatment and the subsequent detention order served on him. The day before the visit, a Red Cross delegation had gone to her home to warn her that her husband’s heart could fail “at any minute”. They told her that he was suffering from muscular atrophy, which was affecting his heart and stomach, that his pulse was weak, and that his life was now in extreme danger. Physicians for Human Rights issued a medical report this week supporting a petition to the Supreme Court for his release. In it the group said that even though Mr Adnan had agreed to be treated with an infusion of liquids and salts, augmented by glucose and vitamins, he had refused to end his hunger strike and was in “immediate danger of death”. The report added that a fast “in excess of 70 days does not permit survival”. The Supreme Court petition, for which no date has been set for a hearing, is the last judicial chance to save his life as Mr Adnan has said he will not end his fast until he is released from his four months of administrative detention. A military appeals court ruled this week that he must remain in detention until May. Mr Adnan, 33, a mathematics graduate who runs a bakery in nearby Qabatya, has long been politically active. 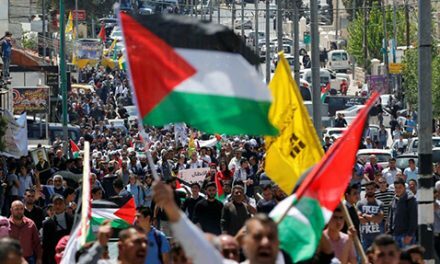 He has been convicted for being a spokesman of Islamic Jihad, one of the most militant Palestinian factions. And he has been arrested numerous times by Israel, and at least once by the Palestinian Authority, since leading a student demonstration in 1999 at Bir Zeit University against the visiting French Prime Minister Lionel Jospin. But his family insists that he has never been involved in violence; nor has he been charged with it. Indeed, on this occasion, he has not been charged with any crime. His hunger strike has focused growing attention on the practice of administrative detention, in which Palestinians can be held without trial and on the basis of secret intelligence dossiers which are not shown to the defendant or his lawyers. 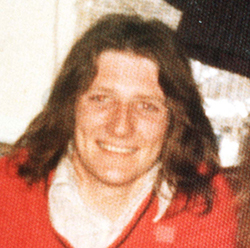 With international groups like Human Rights Watch demanding his release, and almost daily demonstrations in his support outside the Ofer military court near Ramallah, his case is fast taking on some of the political resonances of Bobby Sands, the most famous of the 10 IRA prisoners who died on hunger strike in prison in Northern Ireland in the early 1980s. Sands, an elected MP, died after 66 days without food. 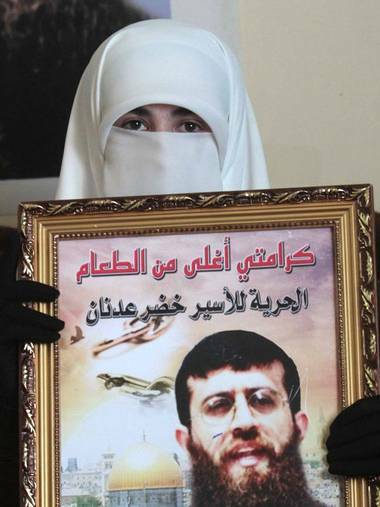 Sitting with her older daughter, Maali, in front of a poster of her husband proclaiming “I reject administrative detention and I will continue the hunger strike until I am released”, Mrs Adnan said that he is determined to continue his fast. His resolve has been hardened, she said, not only by his summary arrest and its circumstances (he was seized while in the lavatory) but by his treatment during interrogation. She claimed her husband had been held for seven-hour periods – interspersed with one-hour breaks – on a short chair with his hands tied behind its back, causing him intense discomfort, and that parts of his beard had been torn out by interrogators.